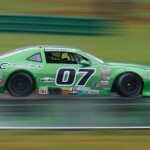 BC Race Cars was divided as we had two TA2 cars running at Virginia International Raceway with SCCA Trans-Am as well as supporting two cars at the final club race at Canadian Tire Motorsports Park. Thursday’s practise started under beautiful conditions in Virginia, which gave us and our drivers the opportunity to learn this scenic and twisty circuit. We made some adjustments to improve the cars, but were preparing for the inevitable rain system that was coming. 100% chance of rain for Friday, Saturday and Sunday was the forecast, and this time they got it right! The BCR team went to work and converted both cars to full wet set-ups. 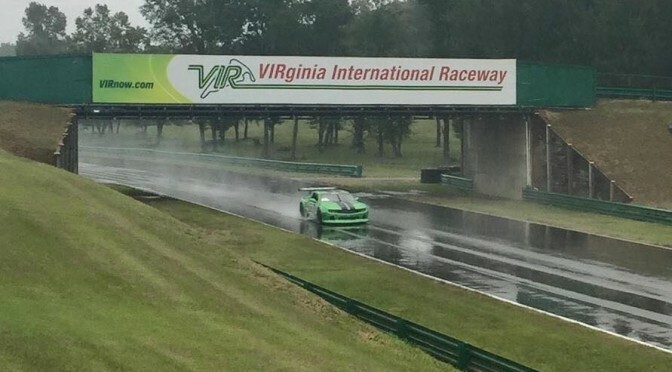 Not only were our drivers new to VIR, but neither have driven their TA2 cars in the rain! Luckily, we nailed the set-ups and both drivers showed incredible speed in the practise sessions; Mike McGahern placed 8th in one session, Jordan Bernloehr 5th in an other. 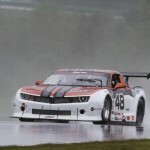 The team was excited and looking forward to qualifying, but Trans-Am decided to line the cars up by championship points, rather than actually qualifying. Unfortunately that put both our cars close to the back as our drivers only run a part-time schedule. Mike started 17th and went off while passing a car on lap 2, causing just enough damage to the splitter and nose that we could not continue. Jordan started 20th and passed a few cars on the start, which was deemed illegal and he received a drive-thru penalty that had to served under green flag conditions. He re-joined not only dead last place in class, but behind the TA3 class cars as well! He drove a great race, picking off cars every lap all the way to 9th place. An unfortunate crash ended the race early, otherwise he could have improved his position some more. Many thanks to the BCR crew, not easy spending all weekend with their clothes soaked! Also many thanks for the other half of the crew who stayed to work our local Canadian races!